The new Rogue One movie is out! Movie critics got their first look at “Rogue One: A Star Wars Story” on Monday night. As their reviews spread across the internet on Tuesday, it became clear there was little consensus about the film. The reviews were mostly positive, but there were several notable exceptions. “Rogue One,” named for the call sign of an imperial cargo ship appropriated by rebel fighters, is the opposite of that vessel. Masquerading as a heroic tale of rebellion, its true spirit is Empire all the way down. Aside from answering the burning question of “Why did the designers of the Death Star leave the station’s exhaust ports so vulnerable to a missile attack?” there’s almost nothing in “Rogue One” that adds substance to the “Star Wars” realm. “Rogue One” feels small in scale, even with its signature heroism and sci-fi action, and its main players mostly lack the charm that made Rey, Finn and Poe in last year’s “The Force Awakens” — or Han, Luke and Leia back in the day — so special. “Rogue One: A Star Wars Story” will not change lives for the worse or for the better, and it will — or ought to — offend no one. Welcome to the Republic of the Just O.K. The New Yorker was perhaps the most harsh. Calling the film “lobotomized and depersonalized,” Richard Brody wondered: Is it time to abandon the “Star Wars” franchise? 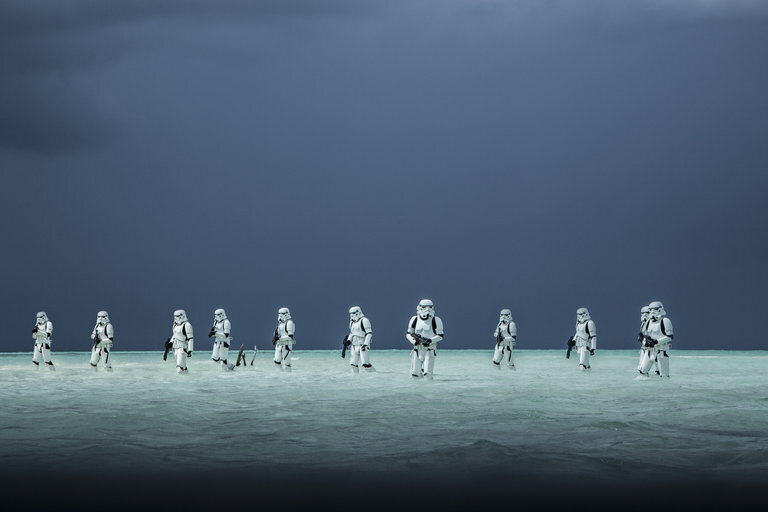 The director of “Rogue One,” Gareth Edwards, has stepped into a mythopoetic stew so half-baked and overcooked, a morass of pre-instantly overanalyzed implications of such shuddering impact to the series’ fundamentalists, that he lumbers through, seemingly stunned or constrained or cautious to the vanishing point of passivity, and lets neither the characters nor the formidable cast of actors nor even the special effects, of which he has previously proved himself to be a master, come anywhere close to life. Several other critics were far more complimentary, and some even considered it among the best of the eight films in the “Star Wars” canon. 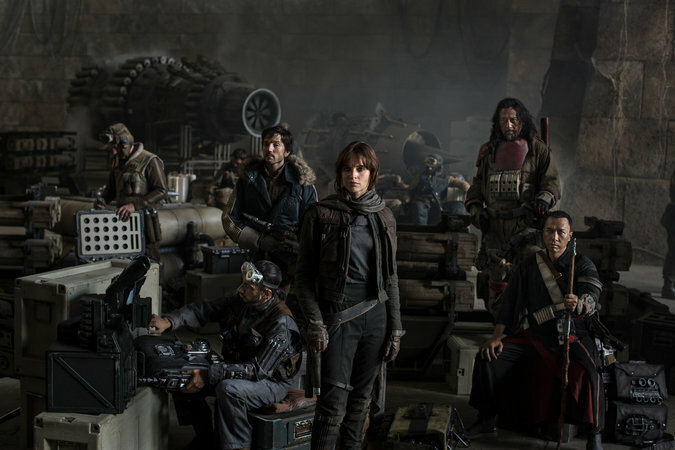 “Rogue One” would have been a very good stand-alone sci-fi movie if it came out under a different name. But what makes it especially exciting is how it perfectly snaps right into the “Star Wars” timeline and connects events we already know by heart with ones that we never even considered. It fits into this universe’s milieu with ease and style, while exploring new emotional and narrative terrain. It may be as good a corporate space opera prequel as could possibly be. Contained yet expansive, nostalgic yet new, it introduces striking heroes and villains and fills its 2 hours and 13 minutes with a narrative that fits snugly into [the] canon. But where “The Force Awakens” leaned on a family-friendly appeal with its innocent do-gooder leads and tantrum-throwing baddie, “Rogue One” satisfies a darker itch. Younger audiences will be bored, confused, or both. But for the original generation of “Star Wars” fans who weren’t sure what to make of episodes one, two, and three, “Rogue One” is the prequel they’ve always wanted. In Rolling Stone, Peter Travers said the spinoff “has the same primitive, lived-in, emotional, loopy, let’s-put-on-a-show spirit that made us fall in love with the original trilogy. As a movie, it can feel alternately slow and rushed, cobbled together out of spare parts, and in need of more time of the drawing board. But the damn thing is alive and bursting with the euphoric joy of discovery that caught us up in the adventurous fun nearly four decades ago. Bryan Bishop wrote in The Verge that several of the characters “feel thin and undefined” and struggled with the workload of building itself from the ground up. The film soars when it abandons all pretense of being a space opera, and fully embraces the bombastic modern action movie that’s at its core, giving it a unique identity that does indeed stand apart from other entries in the series. Given that, it’s hard to shake the feeling that “Rogue One” takes place in a “Star Wars” world, but isn’t necessarily a “Star Wars” movie. “Rogue One” doesn’t really go rogue at any stage, and it isn’t a pop culture event like “The Force Awakens,” in whose slipstream this appears; part of its charm resides in the eerie, almost dreamlike effect of continually producing familiar elements, reshuffled and reconfigured, a reaching back to the past and hinting at a preordained future. The new movie is a little bit “Guardians of the Galaxy,” a little bit “Dirty Dozen” in its mass wartime slaughter, and a pretty good time once it gets going. I have to say I am surprised that I liked the first “stand-alone” entry in the franchise, “Rogue One: A Star Wars Story,” as much as I did. It is not hype on my part to say I really think this could be my favorite of all of them.